Never in Life I took note of my belongings, how pricey they may be. Be it Jewellery or Clothes, I never made an inventory of those possessions. I have suffered to some extent in the past due to this negligence of mine. Now when Minimalism has bring this idea of documenting the items one owns, it reminds me of my past mistakes and giving me the opportunity to mend the way of living. Winters has just passed and I stuffed my clothes in 3 large bags. Ahh! What a pain to pack and unpack the clothes at every Season’s transition. Making inventory of my wardrobe would help me cutting down on clothes as there are many I never wear. Our Fridge broke out just 4 days back and we were required to take out each and every single food item out. Only then we came to know how much we store. Not everything we use regularly but just for the sake of hoarding. We once need to claim our Jewellery after its been robbed from us but we did not have any proof of our ownership. That’s why I liked this idea of taking digital photographs of the items on your list and store them in a computer file with your spreadsheet. This way this not only help us in event of a disaster or burglary, but be able to put it to use in your day-to-day life. First thing Minimalists suggest before cutting down on things is taking home inventory. Once you know what you have, categorize it. You can do this by room, by frequency of use or by purpose (work-related items, entertainment, etc). The plan is to chuck out the items you did not use from last 12 Months. This might means you shall not be able to put them into use for next 12 months too. Then whats the use of cluttering the space with the things serving no purpose. Making Inventory for the things you own is time consuming but everywhere I read, its really worth the effort. Taking note of every item in the house is a great way to focus our attention to more important things in Life than Stuff. Uff I am moving house and am actually doing this now! You know moving house is a great way to declutter as you get a real time stock taking of what you own and how much you use it! I filled my car with stuff to give away at a donation camp and probably going to make another car load soonest!! 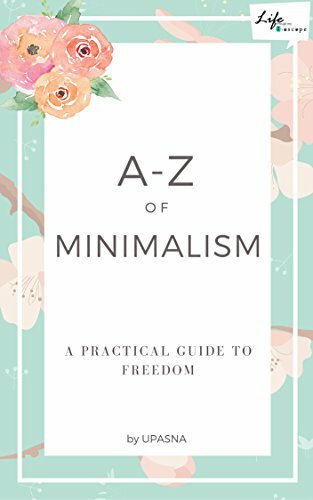 Great posts on minimalism Upasna- loving your series!!! I agree with you. I am at a stage where when I clean my cupboards i find things that I don’t even remember buying! It’s crazy to hoard! I once crossed that stage Mayuri and that were one of those moments I felt the need of Minimalism. When I do not like clutter on my bed, why should i keep it in my wardrobe. Thanks for visiting. I agree with you, sorting out clothes and other stuff that we hardly use is such a pain. I will take a leaf and rearrange things that I don’t use in a space. I am enjoying the series on minimalist, Upasna. Me too Vishal. I need it for my Bedroom and Kitchen at least. I am glad you are enjoying the posts.